Dateline Vienna, Austria: Representatives of the United States, Iran, and the European Union have reached a landmark deal to curb Iran’s ability to create nuclear weapons after almost two years of negotiations. Economic sanctions against Iran would also end. The Ball State University Libraries’ GIS Research and Map Collection (GRMC) includes a unique collection of maps of Iran, including provinces and cities of the country. The collection includes historic and modern maps. 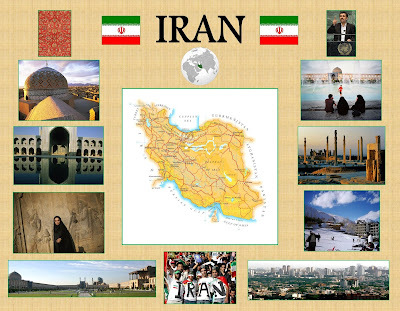 Iran Country Profile (above, click to enlarge) is a map of the country created in 2004 by the Central Intelligence Agency. The map includes a comparative area map, location map, and a list of major historical events in Iran since 1908. 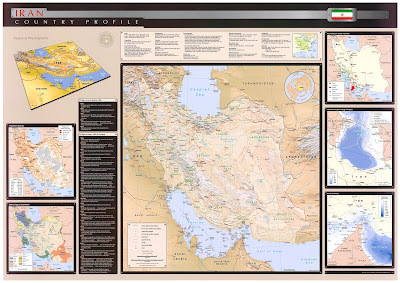 The map features ancillary maps of regional physiography, population density, ethno-religious distribution, key petroleum sector facilities, Southern Caspian energy prospects, and the Strait of Hormuz. The GRMC includes road maps, physical maps, tourist maps of the country, provinces, and cities, and maps of the people of Iran. Many of the maps are printed in English, Persian, Farsi, and French. The GRMC also includes a set of international nautical charts including areas surrounding Iran. These charts offer detailed maps of the coastal areas around Iran. Maps of the cities of Iran include a set of rich and varied maps of Tehran. The New Map of Tehran includes telephone directories for accommodations for tourists and charts showing distances between locations. 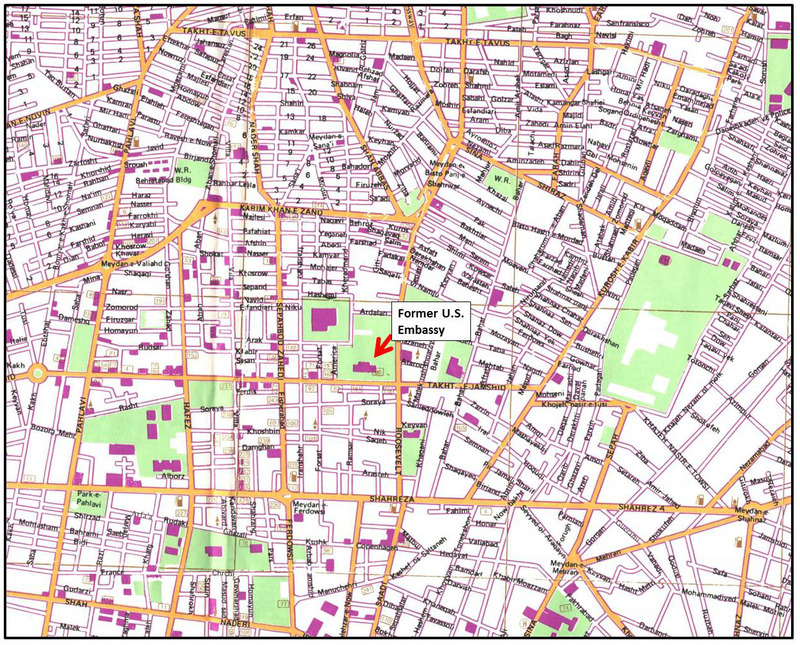 An historic map of Tehran from 1978 shows the location of the former U.S. Embassy (above). The Guide Map of Yazd includes an index to historical monuments and sightseeing information, and selected buildings in the city are depicted in pictures. The GRMC also includes maps of Isfahan city and province—both printed in Persian and English. The Atlas Collection on the second floor of Bracken Library includes several atlases of Iran and the Middle East. The Historical Atlas of Iran and Atlas d’Iran are newer resources printed in English and French. The 1956 Atlas of Geological Maps of Southwest Persia was published by an oil company. An atlas describing Iran’s White Revolution is also located in the Atlas Collection. 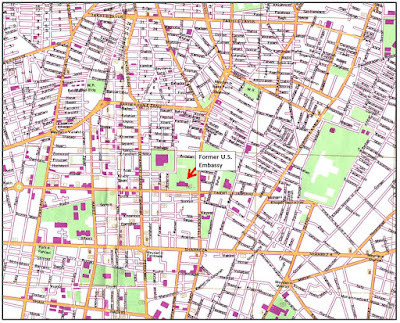 The GRMC also offers information about online cartographic resources. Central Intelligence Agency maps are available from the Ball State University Libraries’ Digital Media Repository in the “Maps of the World” collection. And a map poster of Iran created by the GRMC (above) is available from Cardinal Scholar. The Middle East Strategy at Harvard University (MESH) offered a comparative report of the media coverage of Iran’s potential missile range in 2008. 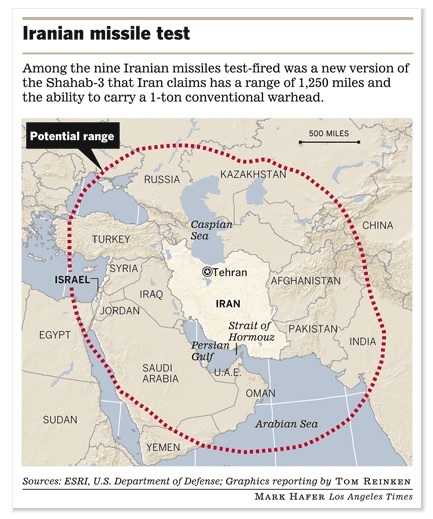 Iran began testing the Shahab-3 missile, which Tehran claims can travel 1,250 miles. The different maps show emphasis given to Israel and other named countries and cities within the missile range. Please contact the GRMC at 765-285-1097 from 7:30 am to 4:30 pm for more information about these cartographic resources.